All the rules are explained for a 4-player game. If the game has fewer than 4 players, put any unused components in the game box. Lay the Game Board on the table. The Game Board is divided into several areas. 8 Contract tiles (There are 8 different Contracts. The player takes 1 of each kind and places them face up in front of himself). Randomly determine a First Player. The order of play is established in clockwise order around the table, starting with the 1st Player. Each Player places the disc of his color on the Victory Points (VP) Track: 1st Player on the 10, 2nd Player on the 11, 3rd Player on the 12, and 4th Player on the 13. During the game, every time a Player earns Victory Points, he advances his disc accordingly. If he loses Victory Points, his disc is moved backwards. Place the Scoring Marker on the leftmost slot of the Scoring track. Note: Black cubes represent different items according to where they are located. When placed on the Budget area, they represent Coal. Note: Black cubes on the tracks of a Player Board (Coal, Money, or Knowledge) represent Level markers. Put the four 2x VP Multiplier tiles next to the Game Board. Sort the Factory tiles according to the produced Good (indicated in the bottom right corner of the Factory tile). Place them with the Produced Good- Blueprint side face up (icon in the top left corner with value 2, 4, or 6) next to the Game Board. Sort the Reward tiles according to the VP multiplier on their back (2 to 5), and then according to the bonus on the front (2 Blueprints, 2 Coal, or 5,000 Yen), forming 12 stacks in total. Place the stacks bonus side up on the Reward slots of the ame Board: the stacks with the 2VP on the back in the leftmost column, then the stacks with the 3VP on the back in the next column, and so on. The map of Japan is divided into 4 Regions. Each Region has 2 City slots. Randomly place 1 City tile face up on each City slot of the Game Board. Also, randomize the orientation of the tile (see picture below). The remaining tile will not used in this game and is returned to the box. Place the 48 Workers in the cloth bag. Note: The colors of the Workers are not related to the player colors nor to the Factory colors. Randomly draw from the bag and place 3 Workers on each Action slot of the Game Board (see picture below). Do the same for each Worker row of the Game Board. Put the Machinery tiles, the remaining Blueprint tiles, black cubes, and Yen notes next to the Game Board as a common supply. When the rules state that a player has to pay, it always means he has to pay Yen, taking the notes from the Budget area of his Player Board and placing them back in the common supply. 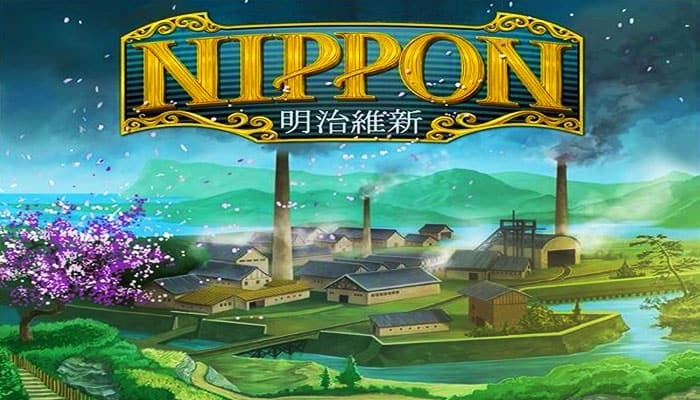 When a player receives Yen or Coal he takes them from the common supply and places them in his Budget area. When a Player receives or discards a certain number of Blueprints, it always refers to their value and never to the actual number of tiles. Example: You receive 2 Blueprints. You may take 2 Blueprint tiles valued 1, or one Blueprint tile valued 2. The items in the common supply are not limited. In the unlikely event that the supply of a certain item runs out, use another means of tracking them. At any time during a player's turn, he can discard 3 Blueprints, and move one of his level markers up 1 step (Money track, Coal track, or Knowledge track). This may be done multiple times, discarding 3 Blueprints each time. During the game, there will be 3 Scorings (see Scoring, page 12). After the 3rd Scoring, the game ends, and players calculate their final scores. The player with the most Victory Points wins. Take 1 Worker from an Action slot on the Game Board. Place the Worker in the leftmost empty Worker slot of his Player Board. Perform 1 action as shown in the Action slot from where he took the Worker. Note: if there are 2 actions shown in the Action slot, the player must choose only one of them (see page 6, Available Actions). A player can have at most 6 Workers on his Player Board. Once he has taken 6 Workers, he must Consolidate on his next turn. Important: A player must choose an action to perform, and can only choose an action that he is able to perform completely. He must then perform the chosen action. Note: The color of the taken Worker has no effect on the chosen action. It will become important when the player Consolidates (see page 11). Take the Workers from the upper- most, non-empty Worker row. Place them on the now-empty Action slot. Refill all Action slots by randomly drawing from the bag and placing 0, 1, 2, or 3 Workers on each Action slot as needed in order to have exactly 3 Workers on each Action slot. Refill all of the Worker rows by randomly drawing from the bag and placing 3 Workers on each Worker row of the Game Board, starting from the top row. Note: If there are not enough Workers in the bag, place as many as possible. Complete the refill as soon as more Workers are placed back in the bag. Move the Scoring Marker 1 step to the right. During the game, there are 3 Scorings in which each Region is scored. When the Scoring Marker passes this symbol, perform the 1st Scoring. When the Scoring Marker passes this symbol, perform the 2nd Scoring. When the Scoring Marker reaches the first golden slot, each player has exactly 3 more turns (moving the marker each time all players have taken a turn), then perform the 3rd Scoring. After the 3rd Scoring, the game ends, and players calculate their final scores. 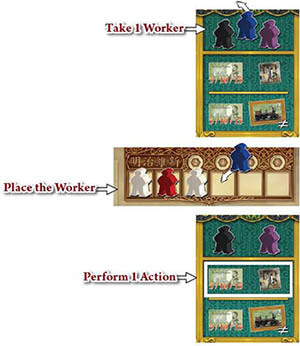 The player must perform 1 action as shown in the Action slot from where he took the Worker. For example, to perform a Local Market action, you must take a Worker from the rightmost Action slot. Note: If there are two actions shown in the Action slot, the player must choose one. Monopolistic economic giants - Zaibatsu - emerged. They ran a wide range of interconnected economic activities. The synergies made them more and more powerful. The player must build 1 Factory. The amount of Coal needed to produce Goods. The Storage area for the Goods. The Synergy bonus. Each Factory has a different bonus (see Reference Sheet). The Machinery slot (only on the front side). The amount of Knowledge required to build the factory (only on the back side): 2 for a level-1 Factory, 4 for a level-2, 6 for a level-3. Choose any Factory tile from among the ones available next to the Game Board. Meet the Knowledge requirement for the Factory. The player's current level of Knowledge is equal to the number either next to, or lower than, the position of the level marker on his Knowledge track. If his Knowledge level is not high enough, he must discard as many Blueprints as the missing amount of Knowledge. If he does not have enough Blueprints, the Factory cannot be built. Note: Knowledge is not spent; it is only a requirement. Place the tile face up in front of him. Important: A player cannot have more than 1 Factory tile that produces the same Good. Modernization was an all-or-nothing matter. Either every aspect of the country had to be modernized to some extent, or no single aspect could be modernized successfully. The player must perform 1 to 3 Factory Improvements. Upgrade an existing Machine: He flips a Machinery tile already placed on any one of his Factory tiles to the "+2" side. A "+2" Machinery tile cannot be upgraded further. Note: Once a Machinery tile is placed on a factory, it cannot be moved nor removed. Where possible, the player must install / upgrade the Machines in his existing Factories, if any. If he cannot, he may still take 1 Machinery tile for each 5,000 Yen spent, and place them "+1" side up in front of him in his supply. Note: If a player has any Machinery tiles in his supply, then the next time he builds a Factory, he must immediately install one of those Machinery tiles onto it. If possible, the machine must immediately be upgraded (discarding another "+1" tile from his supply and flipping the newly-installed Machinery tile to the "+2" side). Grow the rice to feed the weaver. Weave the cloth to clothe the worker. Employ the worker to make the goods. Sell the goods to buy the rice fields. The player must run 1 to 3 of his Factories to produce the corresponding Goods. Note: When a Factory produces Goods, black cubes are placed on the Storage Area of the Factory tile. These cubes represent the corresponding Good (Silk, Paper, Lenses, etc).. Discard the required number of Coal from his Budget area as shown on the Factory tile. Note: If a player does not have enough Coal, the Factory may not be run. Take 1 cube from the common supply and place it on an empty slot of the Factory's Storage Area. Note: If there are no empty slots, the Factory cannot be run. Take an additional number of cubes from the common supply, according to any Machinery tile on the Factory (+1 or +2), and place them in that Factory's Storage area, if possible. Note: If there are not enough empty slots on a Factory's Storage for the additional cubes, the player places as many cubes as he can. Note: A player may not run the same Factory more than once per turn. Knowledge shall be sought throughout the world so as to strengthen the foundations of Imperial rule. Moving 1 step costs 1,000 Yen. Moving 2 steps costs 3,000 Yen. Moving 3 steps costs 6,000 Yen. The marker cannot move beyond the topmost slot. Japan largely skipped water power and moved straight to steam. With industrialization came the demand for coal, and a dramatic rise in production. 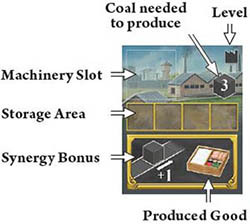 The player must move his Coal level marker up between 1 and 3 steps. The first railroad line constructed in the Country was only 17 miles long. By 1913, the railroad network had expanded exponentially to an outstanding 7,000 miles! Take the built Train tile(s) from his Player Board, from left to right. Place each of them on an empty Train/Ship slot on the Game Board. There are 8 Train/Ship slots in each Region. If more than 1 Train tile is placed with the same action, they must be placed in different Regions. Note: Trains give the player additional Influence Points during the Scorings. In this period, the four leading Zaibatsu directly controlled one half of Japan's shipbuilding and maritime shipping. 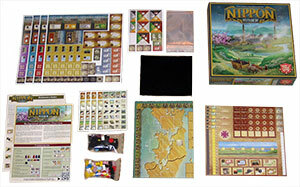 Take the built Ship tile(s) from his Player Board, from left to right. Place each of them on an empty Train/Ship slot on the Game Board. There are 8 Train/Ship slots in each Region. If more than 1 Ship tile is placed with the same action, they must be placed in different Regions. Note: Ships could give the player additional VP during the Scorings. 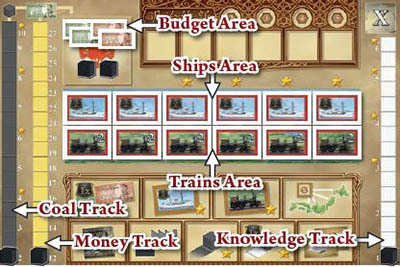 If this symbol is completely revealed when a Train or a Ship tile is taken from a Player Board, the player immediately moves his marker up 1 step on the Money track, if possible. The marker cannot move beyond the topmost slot. The Japanese economic structure became very mercantilistic, importing raw materials and exporting finished products. The player must fulfill 1 to 3 Contracts. Each player has 8 different Contracts available to him at the start of the game. Select one of his face-up Contract tiles. The amount of cubes indicates how many different types of Goods the player must spend. The number depicted on each cube indicates how many Goods of the same type the player must spend. Note: A contract must be fulfilled all at once. Receives the bonus indicated on the bottom left corner of the Contract tile (Yen or VP). Moves his marker up 1, 2, or 3 steps on the Money track (as indicated in the bottom right corner, if any). The marker cannot advance beyond the topmost slot. Flips the Contract tile face down. During the Meiji period, the Zaibatsu started to sell the products of Japan's industrial revolution to an increasingly urbanized population, and they were so successful that eventually they drove out their foreign competitors. This is an explanation of the City and Influence slots which is needed for a better understanding of the Local Market action. There are 2 Cities in each Region. The City tile indicates the demand for Goods in that city. There are 4 Influence slots around each City on the Game Board, one next to each side of the City tile. When performing the Local Market action, a player supplies one of the depicted Goods, and places one of his Influence tiles on the Influence slot corresponding to the Good he supplied to the City. Note: The numbers depicted on the Influence slots represent the current level of ! Influence that the Overseas Companies have in the Region. These numbers are not relevant while performing the Local Market action, but are important during the Scorings if not covered by an Influence tile. It was not a matter of rational choice. Zaibatsu had to fill out the lacuna of the market. The player must place 1 to 3 Influence tiles in 1 Region of the Game Board. Discard 1, 2, or 3 cubes of the good he wants to supply (to be taken from the Storage Area of the corresponding Factory). Place 1 Influence tile of the appropriate value on an available Influence slot next to a City section that depicts the Good he is supplying. 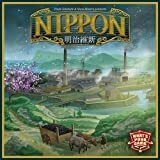 Immediately receive the Region bonus (as shown in the Bonus slot of the region where he placed the Influence tile): 5,000 Yen, 2 Coal, 2 Blueprints, or 2 VP. Note: If more than 1 Influence tile is placed with the same action, they must be placed in the same Region. The value of the Influence tile the player may place varies according to the supplied Good and the number of discarded cubes (see table on the Game Board). A player is always allowed to place a tile of a lower value. Note: The player can always decide to split the cubes among different Influence tiles. An Influence tile of a value lower than the one that the player is about to place is already on the slot (this tile may belong to any player, including the active player). In this case, the existing Influence tile is returned to its owner. Discard all of the Yen and Coal cubes currently placed in the Budget area of his Player Board, placing them back in the Common supply. Yen notes according to the position of his level marker on the Money Track. Coal cubes according to the position of his level marker on the Coal Track (the number to the right of the track, on, or lower than, the position of the marker). 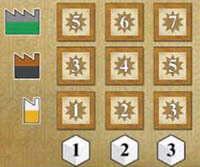 Must take from the Game Board 1 Reward tile of his choice of the same level or lower as shown above the rightmost occupied Worker slot (2 to 5). If there are only Reward tiles of a higher level on the game board, the player skips the Emperor's Reward step. If there are no more Reward tiles (of any level) on the Game Board, the player takes one of the 2x VP Multiplier tiles instead. If the Multiplier tiles also run out, the player skips the Emperor's Reward step. The Reward / Multiplier tile taken must immediately be placed (VP side up) on an empty Achievement space of his Player Board, if any. Only 1 Reward / Multiplier tile can occupy each space. If all Achievement spaces are already occupied, the tile is discarded. Note: Once placed, Reward / Multiplier tiles cannot be moved, removed, nor swapped for the remainder of the game. At the end of the game, each Achievement space scores VP according to the depicted image and any VP multiplier (see Reference Sheet). Remember: The Reward tiles placed on the higher-numbered columns have higher VP multipliers on the back. The player must pay for the Workers currently on his Player Board. The payment is 3,000 Yen for each different color. If he cannot pay, he loses 2 VP for each color he cannot pay for. He then removes all Workers from his Player Board and places them back in the bag. Complete the refill of the Worker rows, if needed. Reminder: During the game, there are 3 Scorings in which each Region is scored. Scorings are triggered by the movement of the Scoring Marker. The value of their Influence tiles in that Region. Plus, if, and only if, the player has at least 1 Influence tile in the Region, he adds the value of his Trains placed in that Region. Important: The Overseas Companies count as an additional player for determining this majority. To calculate their level of Influence in a region sum the numbers depicted on the empty Influence slots of that Region. Score each region individually: VP are scored by the players with the most, second most, and third most Influence in the Region (see the table on the Game Board). In case of a tie, add the VP of the respective positions and divide them evenly (rounded down) between the tied players. Note: The player(s) with the most Influence and the player(_) with the secondmost Influence also score the VP indicated on their Ships. After the 3rd Scoring the game ends, and players calculate their final scores. The player with the most Victory Points wins. In case of a tie, the tied player who played the last turn, or is closest (counterclockwise) to the player who played the last turn, wins.